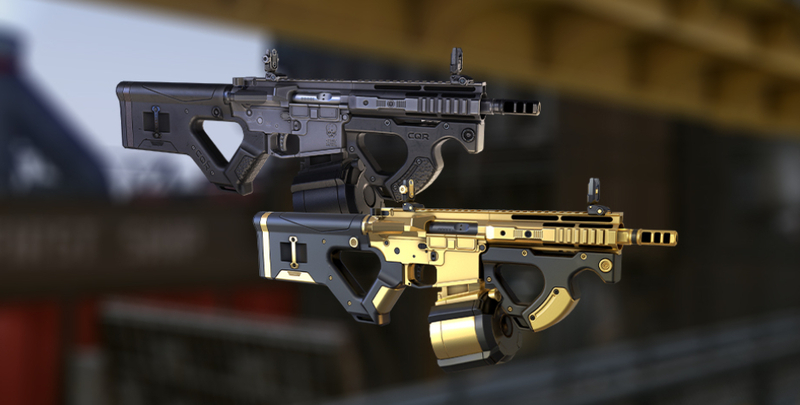 The next update will feature a new Rifleman weapon HArms CQR. Based on the AR-15 assault rifle and designed in Germany, the highly ergonomic lightweight gun has a Magpul drum mag and increased resistance to automatic fire. The HArms CQR will definitely be a top pick for any collection — it sports a futuristic design that makes it stand out. 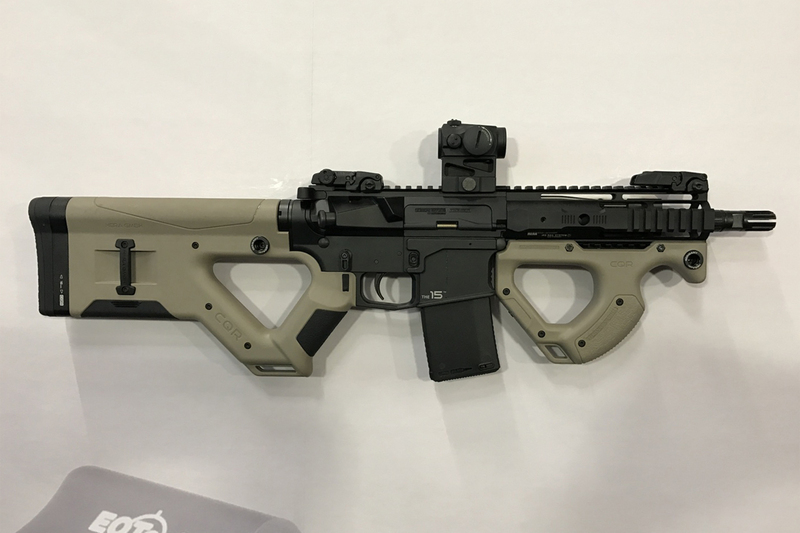 The CQR system was developed in Lower Franconia by the German manufacturer Hera Arms is an attachment to the American semiautomatic rifle AR-15. Adopted in the U.S. Army under the widely known name of M16, the automatic version of the AR-15 was deployed as a civil and standard weapon of the US law enforcement units. A lot of modifications and copies based on this rifle have been developed all around the world. The СQR stands for a ‘Close Quarter Rifle’. The system is one of the most compact modifications of the AR platform. The sturdy lightweight polymer attachment offers a comfortable buttstock while the front grip ensures a firm grasp and comfortable use. You can rapidly equip the weapon with no risk to catch on the equipment elements thanks to its rounded construction and lack of protruding parts. 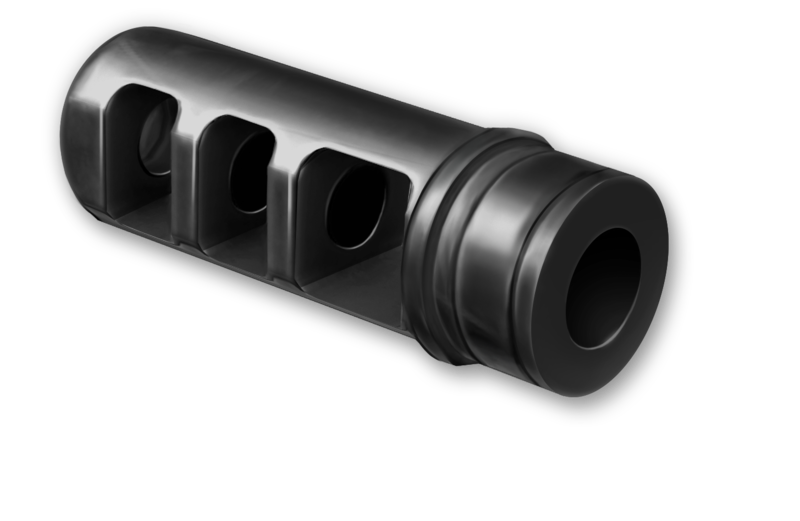 Just like all modern guns, the rifle is provided with an integral Picatinny rail for installation of additional sights that suit better the task at hand. 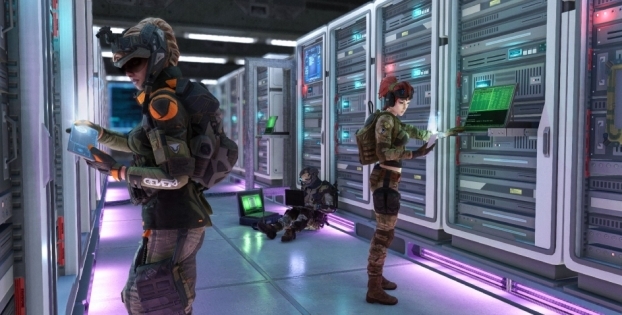 Though in Warface the assault rifle HArms CQR offers an average rate of fire and range, it has high damage and incredibly low recoil; that’s why the weapon remains comfortable to control even after long bursts. The high-capacity Magpul drum mag only additionally contributes to it. 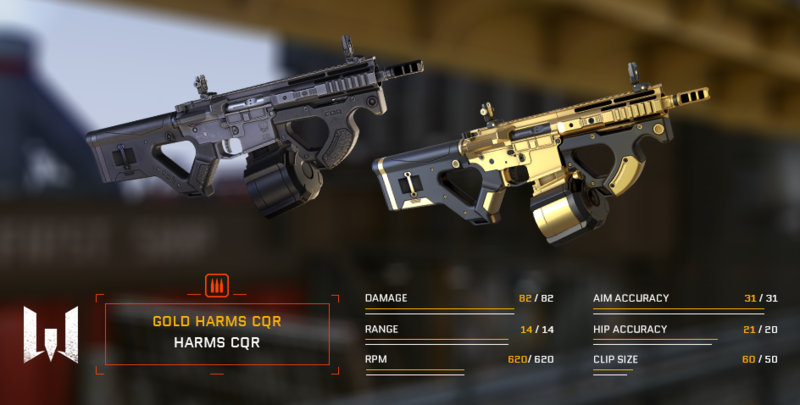 The HArms CQR will be available in Random Kredit and Crown Boxes. Its golden version boasts a cool visual design, decreased spread and a high-capacity 60-round magazine. Besides, it can be equipped with a Platinum Skin! Please note that the skin can be applied only to the golden version and does not affect the specs of the weapon. The skin will be available only in Random Kredit Boxes. Please note that the drop of the Platinum Skin guarantees the golden version of the gun. Achievements are always the most pleasant part! Eliminate enemies with this gun to earn custom achievements. Please note that the specs described are subject to change and depend on the results of general testing. 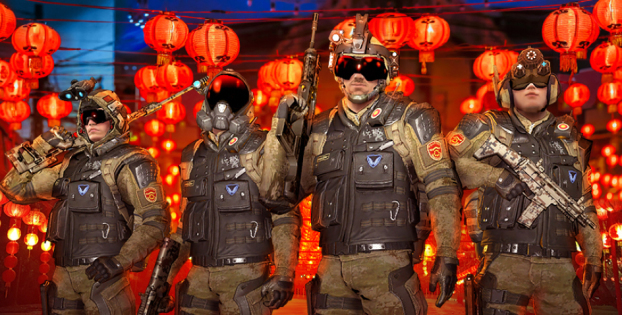 Do you like the new gun, soldiers?